Additional information: Son of Thomas Duncan Newbigging and Alice Mary Newbigging; husband of Alice Lindsay Newbigging, of Hessle, Yorkshire. Additional information: Son of James Kidd Park and Elizabeth Park; husband of Catherine McIntyre Park, of Bo'ness, West Lothian. Additional information: Son of James and Martha Peters; husband of Violet E. M. Peters, of Brislington, Bristol. Additional information: Son of Daniel and Jane Robertson Peterson, of Glasgow; husband of Margaret Jean Peterson, of Glasgow. Additional information: Son of William and Mary Pinkerton, of Corby, Northamtonshire; husband of Irene Allen Pinkerton. 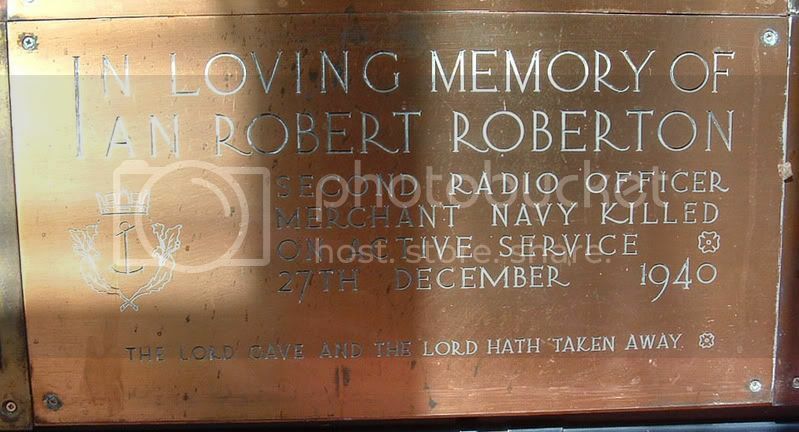 Additional information: Son of Clive and Caroline Mary Race; husband of Evelyn Myra Race, of Scarborough, Yorkshire. Unit Text: 558 Bty., 161 H.A.A. Regt. Additional information: Son of Mr. and Mrs. Peter Reid, of Glasgow. Additional information: Son of James and Elizabeth Blyth Ritchie, of Uddingston, Lanarkshire. Unit Text: 52nd Div. Sigs. Additional information: Son of A. L. Ritchie and Margaret Ritchie, of Glasgow. Additional information: Son of Robert and Annie Roberton, of Burnside, Rutherglen, Lanarkshire.